I really like peas. I love the sugar snap kind that you eat raw, but I'm also totally okay with bags of frozen peas (I've even been known to munch on them frozen). Thing is, they far too often get overshadowed by trendy vegetable faves (cough-beets and kale-cough) and I rarely make a recipe that features them. In fact, I think the only time they've starred in a side dish was in this Spiced Peas with Cilantro and Lime last April. 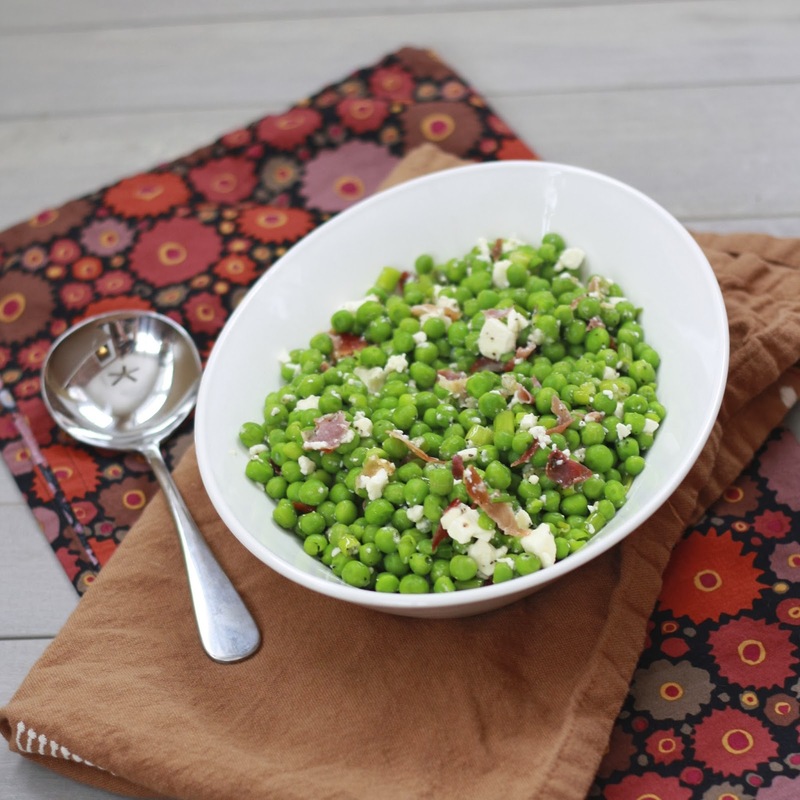 Now there'll be two pea side dishes to choose from if you too love 'em. 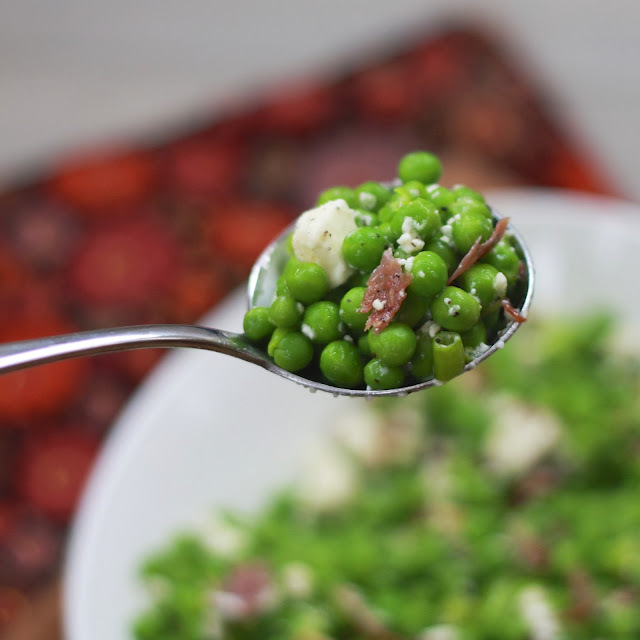 Here they're paired with crispy prosciutto and feta, both of which add a nice saltiness to the rather bland peas. I'm sure you could use bacon if you don't have any prosciutto on hand, but I loved how thin and crispy the prosciutto was. I know you have a bag of peas in the freezer that you use for an ice pack, but save that for the frozen corn and make this instead! 1. Preheat oven to 450F. Place prosciutto on a rimmed baking sheet and bake for 10-12 minutes, until beginning to darken. Allow to cool (it will crisp as it cools) and crumble. Set aside. 2. Meanwhile, bring a large saucepan of salted water to a boil. Add the peas and cook for 1-2 minutes, until tender. Drain and rinse under cold water. 3. 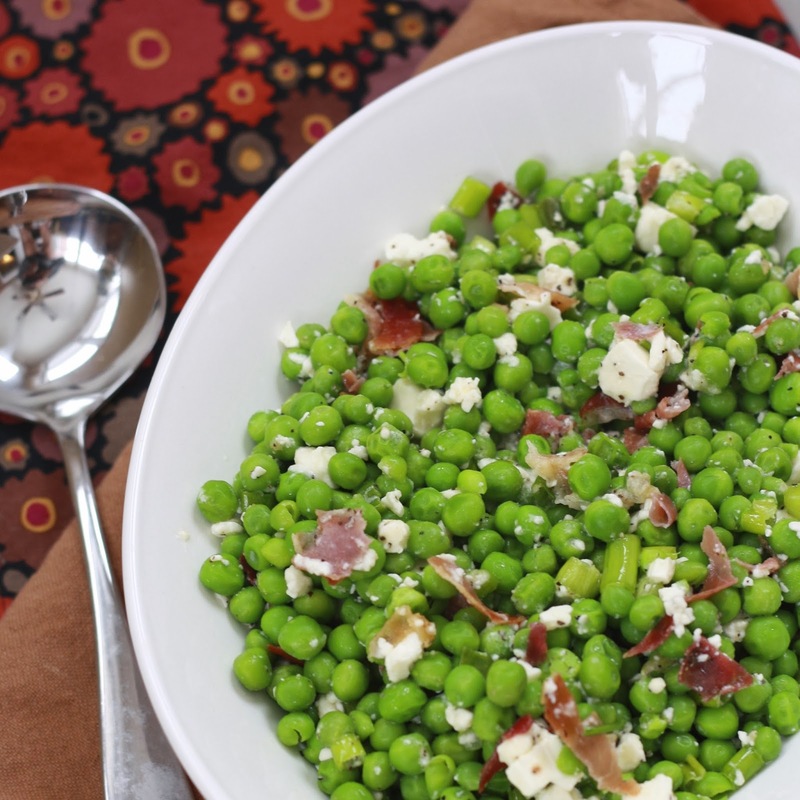 Toss peas with the olive oil, feta, scallions, prosciutto, and 1/4 tsp each salt and pepper.